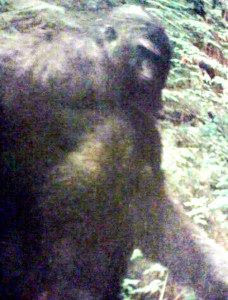 There has been this picture of a large looking Bigfoot making it's rounds across the internet lately and no one seemed to know where it came from. Well it now seems we have found the source. 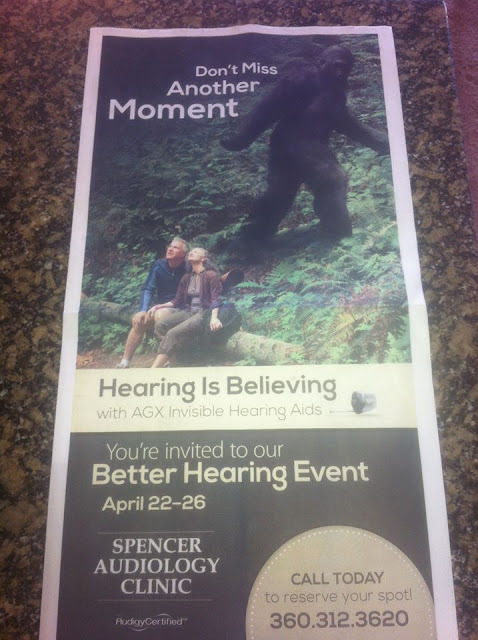 It was taken from an advertisement for a hearing event in Washington state. Looks like a match to me!